Whether you want a secret seam, or an extra pop in your project, Bias Tape can do it all. 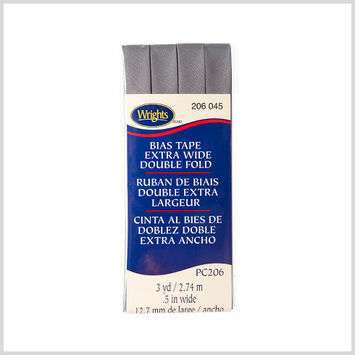 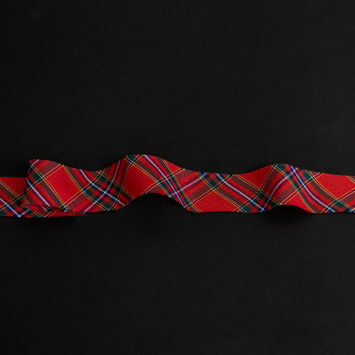 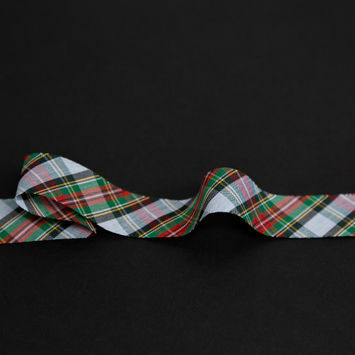 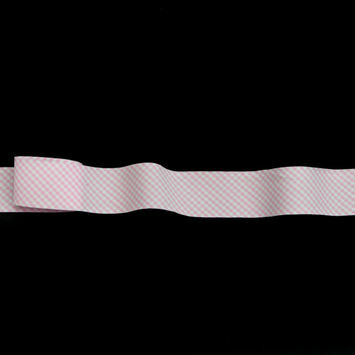 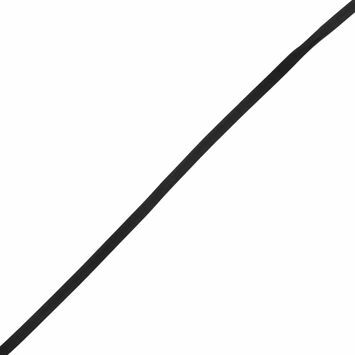 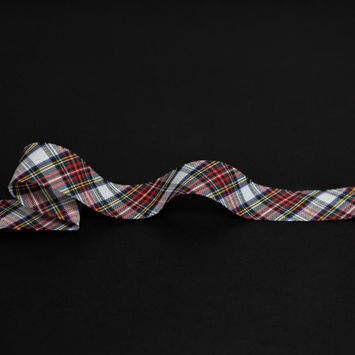 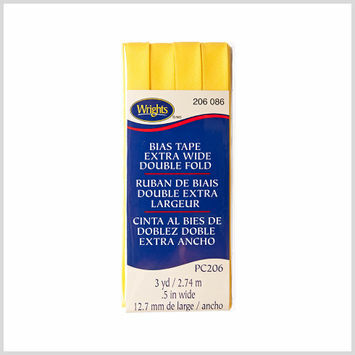 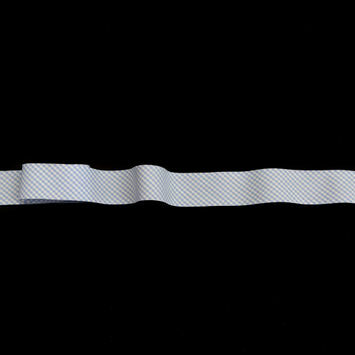 Bias tape, or bias binding, is a thin piece of fabric that has been cut on the bias, making it more fluid and flexible than a piece cut from the grain. 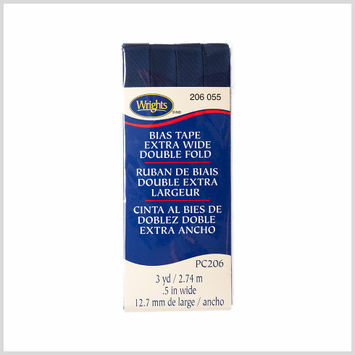 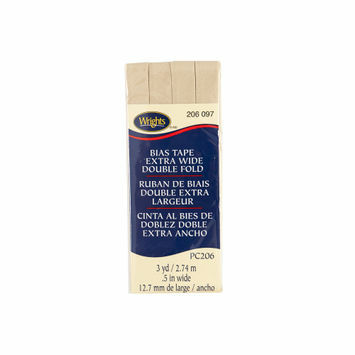 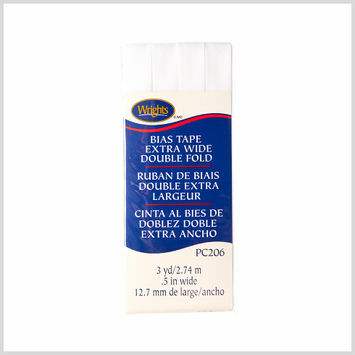 Bias tape can be used for a variety of projects, from binding seams and finishing raw edges, to making piping. 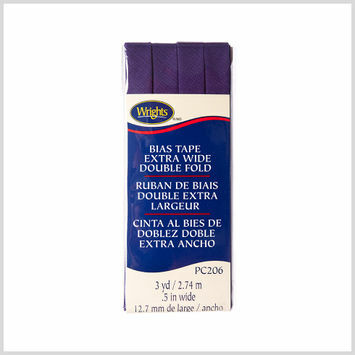 It can come in both single and double fold, and using bias tape prevents a garment from unraveling. 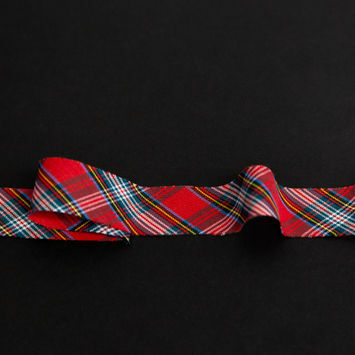 Use the same color bias tape as your garment to easily finish it off, or use a patterned or differently colored bias tape to make some bold statements. 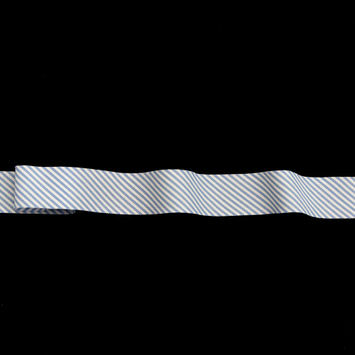 Italian White and Navy Striped Bias Tape Ribbon - 1"
Italian White and Pink Checkered Bias Tape Ribbon - 1"
Italian White and Blue Striped Bias Tape Ribbon - 1"
Italian White and Blue Checkered Bias Tape Ribbon - 1"
Italian White, Green and Red Plaid Bias Tape Ribbon - 1"
Italian Red, Green and Yellow Plaid Bias Tape Ribbon - 1"
Italian Red, Green and Blue Plaid Bias Tape Ribbon - 1"
Italian Green, Blue and Red Plaid Bias Tape Ribbon - 1"
White Foldover Bias Binding Tape - 0.5"
Red Foldover Bias Binding Tape - 0.5"
Taupe Foldover Bias Binding Tape - 0.5"
Pale Yellow Foldover Bias Binding Tape - 0.5"
Sage Foldover Bias Binding Tape - 0.5"
Green Foldover Bias Binding Tape - 0.5"
Black Double Fold Bias Tape - 0.375"